Lisa these layouts are beautiful. I also use the pocket pages along with my traditional 12x12 layouts. Thanks for the tips for using velum. 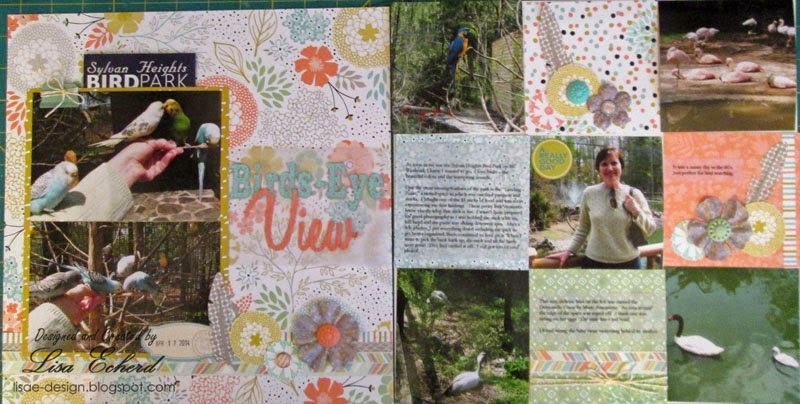 No national scrapbooking day activities for me. We are headed to northern Wisconsin to open up our RV for the season. Hopefully the temperatures will warm up. I know you mentioned that you had an April birthday. Hope yours was wonderful! 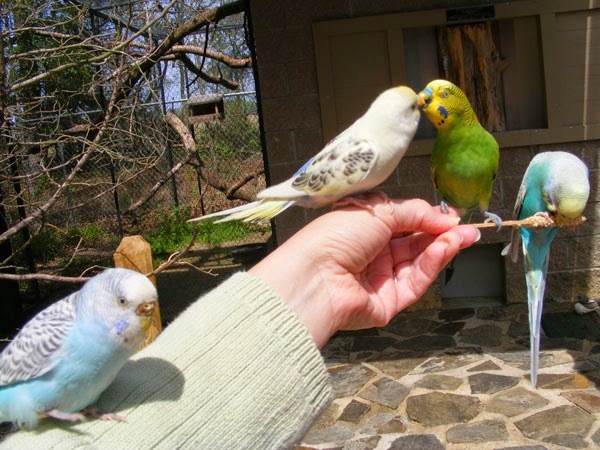 Lisa, I'm so glad you decided to visit the bird park. 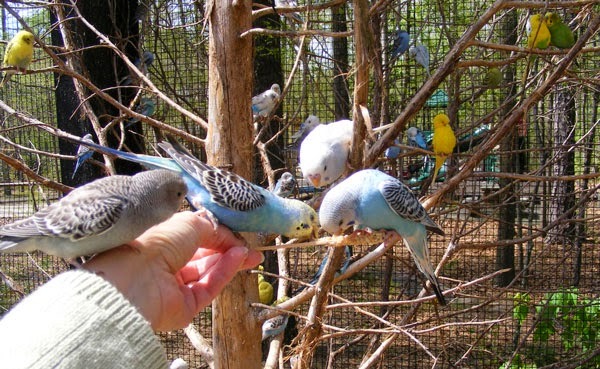 It looks like you had a wonderful time with the birdies. And the layout is absolutely gorgeous. 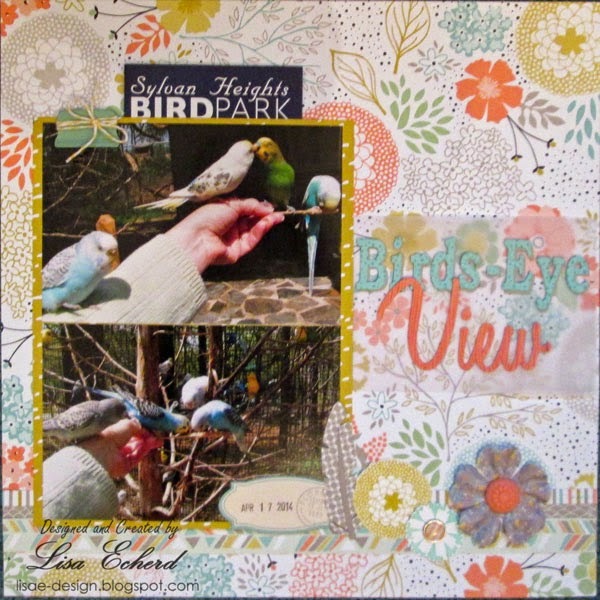 Love the Sweet Sorbet papers! Thanks for sharing. Beautiful layout! Thanks for the info on LOAD! I just signed up! Perfect choice in papers. I really like the 3pg option. I also signed up for LOAD because you seemed so positive about your experience. I love bird sanctuaries. They're such delicate creatures. So cool that you got to feed them up close. Great 3-pager! 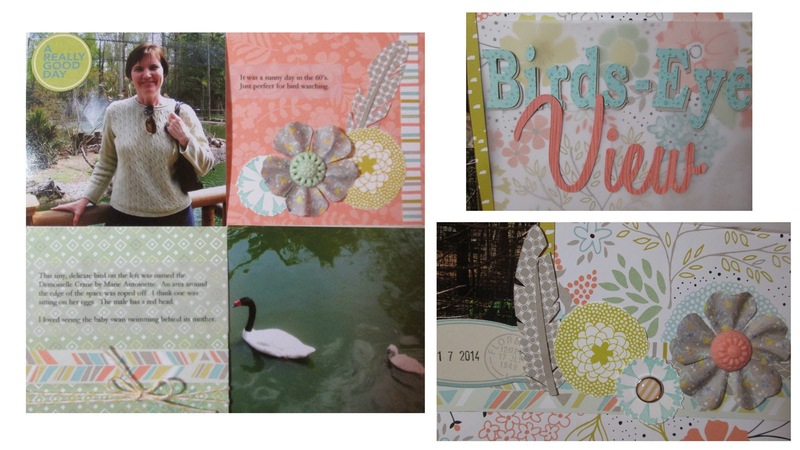 I will be spending NSD over at Get It Scrapped and Scrapbook & Cards Today. After the move, this is exactly what I need to get scrapping again!